Copyright, 1880, by Geo. 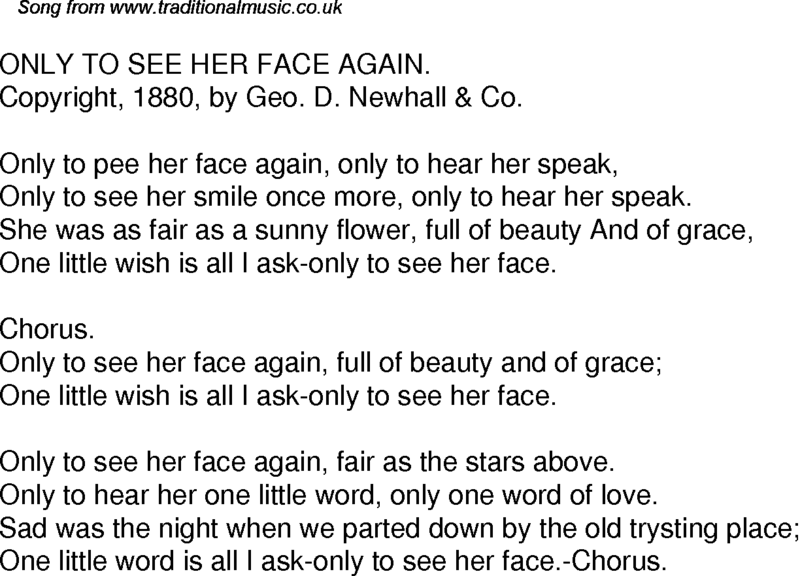 D. Newhall & Co.
Only to see her smile once more, only to hear her speak. One little wish is all I ask-only to see her face. Only to see her face again, fair as the stars above. Only to hear her one little word, only one word of love. One little word is all I ask-only to see her face.-Chorus.